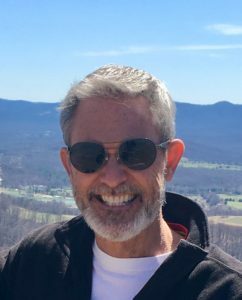 Over more than forty years as a pastor and now as an interim pastor and as a congregational and leadership coach, I have had a wide array of experiences in the local church. An emerging concern for me, and for many of my fellow pastors and congregations, has been the need to rethink and recreate our approach to interim ministry. We all know that healthy leadership and processes during leadership transitions is essential for the ongoing health of the church, the staff, and the future leader(s) of the congregation. Our concern is that much of what has been suggested as healthy interim leadership has proven to be anything but. Far too often, we hear tales of interims that leave congregations in disarray, interims who unnecessarily extend their tenure at the expense of congregational health, and new pastors facing challenges that could have been avoided with proper transitional leadership. To be sure, some interims have done stellar jobs and used the now nearly 60-year-old prevailing methodology very well. Unfortunately, those stories are increasingly rare. We often encounter congregations who disavow any thoughtful transitional work as a carryover from previous bad experiences. That is why I was so pleased to learn of an alternative way of thinking and approaching this pivotal ministry. 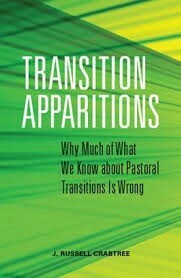 In Transition Apparitions: Why Much of What We Know about Pastoral Transitions in Wrong, Russell Crabtree, a well-known author (The Elephant in the Boardroom) and congregational consultant, presents a data-supported case that exposes the traditional thinking around pastoral transition as ghost-like “myths.” A body of assumed knowledge has grown up about how congregations of any shape or size or location react when a pastor retires, resigns, or is asked to leave. This long-accepted paradigm is based on a grief-recovery model that too often results in a “one-size-fits-all” approach. It ignores the fact that no two congregations are the same. Practitioners of this model often extend the transition longer than necessary. It is also typically more prescriptive than diagnostic and often leads to misinterpretations of what a congregation is actually experiencing. Drawing from nearly 1000 church studies, he describes this fresh approach as an “uncertainty-agency” model. Based on my experience as a transition pastor, I find Crabtree convincing. Congregations may experience some grief, but all encounter anxieties and uncertainty. It’s a shared, general feeling, but not encountered the same. Each church is unique and there are varied emotions and expectations within each congregation that shape their anxieties. What about the morale, the emotional climate, the expectations of the congregation during the transition period? How do you name and manage a diversity of expectations among staff and congregation, both positive and negative? Why is it that conflict levels tend to intensify during a pastoral transition? How should they be assessed and addressed? How do you manage and mobilize resources for as much of the grief recovery process as possible? What should we expect when it comes to attendance and giving during a pastoral transition? How do you engage as many leaders and church members as possible in developing concrete goals for the transition period? How do you assess organizational intelligence and communicate that effectively to the congregation? How do you focus the congregation on a compelling, shared vision for the transition period? How does the transition pastor help congregations become more focused and flexible as they search and prepare to welcome a new pastor? These conversations have led The Center for Healthy Churches to partner with Keli Rugenstein of Clergy and Congregation Consulting, a friend and colleague to Crabtree, to present S.T.E.P.TM (Strategic Transition Education Program) -the next generation in interim ministry. S.T.E.P.TM leadership is intentionally collaborative, committed to agency, laser-focused on context, compelled by a shared vision, and led by high EQ leaders. Developing new tools for a fresh, context-based approach to transition training for retiring pastors, lay leaders, and congregations. Ministers looking to retool for a new chapter of ministry. Experienced transition ministers who want to enhance their skills. Judicatory officials who recognize the importance of transition ministry in their region. Two identical S.T.E.P.TM training events will be offered in the upcoming months. This training is based on the principles developed by Russell Crabtree in Transition Apparitions: Why Much of What We Know about Pastoral Transitions Is Wrong. Crabtree uses an evidence-based approach that shows a one-size-fits-all strategy ignores the uniqueness of each congregation. For more information, download the S.T.E.P.™ brochure or contact: Bill Owen (billo@chchurches.org) or Joel Snider or (joels@chchurches.org). Click here to register.